We are pleased to offer you an investment schedule that allows you to choose the investment that works best for your business. Essential - a basic membership, scaled to grow your with your business. Connected - a membership to build your network. Includes all the benefits of the Essential. Enhanced Marketing - a membership to market your business and gain visibility. Includes all the benefits of the Essential and Connected levels. Executive Circle - a membership for executives to connect. Includes all the benefits of the Essential, Connected and Enhanced Marketing levels. 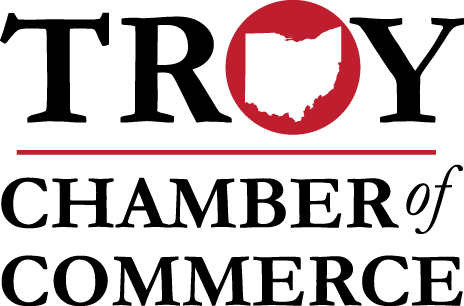 Community Partner - a membership that recognizes your commitment to shaping the community. Community leaders receive all the benefits the Chamber has to offer plus a customized package created for you. Investment at this level supports community initiatives to make Troy a more competitive and attractive place to do business and raise a family. Non Profit Agencies, Elected Officials, Retired Executives - Please contact us for discounted pricing. Own more than one business? Ask us about the associate business discount. 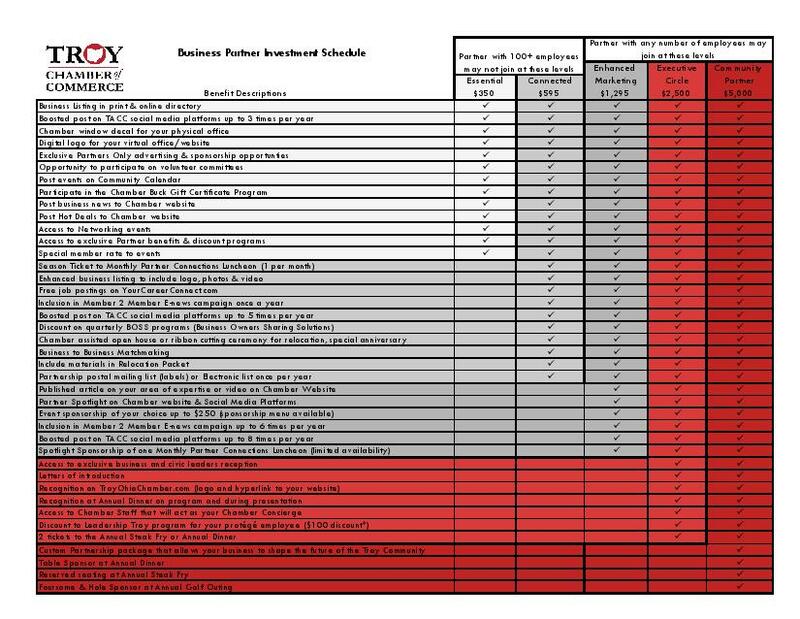 Download the Investment Schedule HERE.